A Ladies Shaun the Sheep Dress including Dress and Headband – Ideal for Book Week, TV & Film, or any fancy dress occasion! 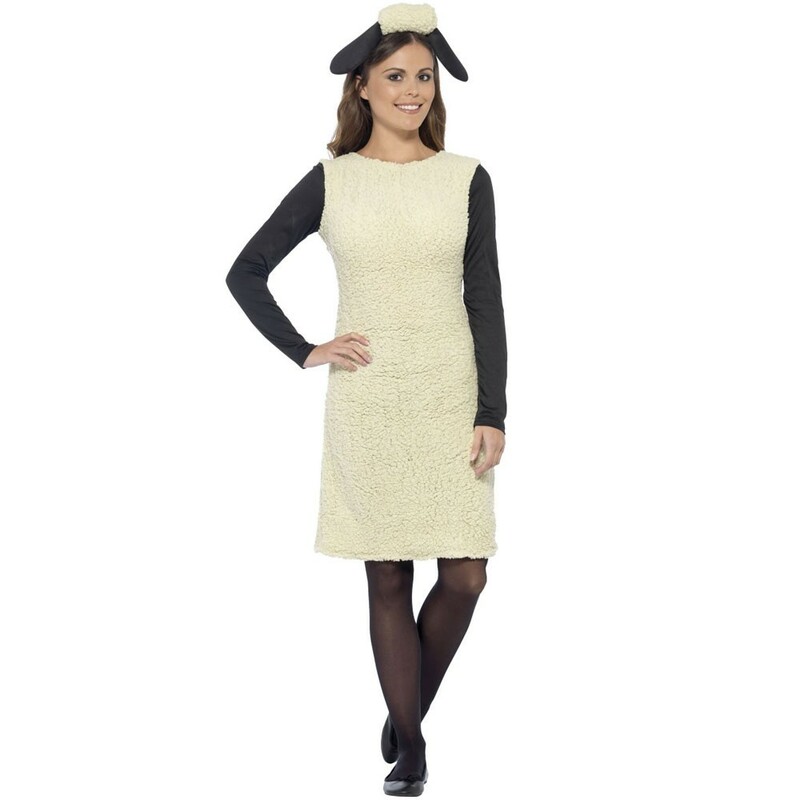 Join with the “Shaun the Sheep” fun with this fantastic Ladies Shaun the Sheep Dress. This licensed costume comes complete including a Dress and Headband. The knee length dress features black long sleeves, and a plus white fake-sheepskin material for the body of the dress. This Ladies Shaun the Sheep Dress is completed by the Black Headband with Black Sheep ears and fake sheepskin material detail. This stunning Ladies Shaun the Sheep Dress is perfect for Book week, a TV & Film theme, or any fancy dress occasion. A Ladies Shaun the Sheep Dress including a Dress and Headband.